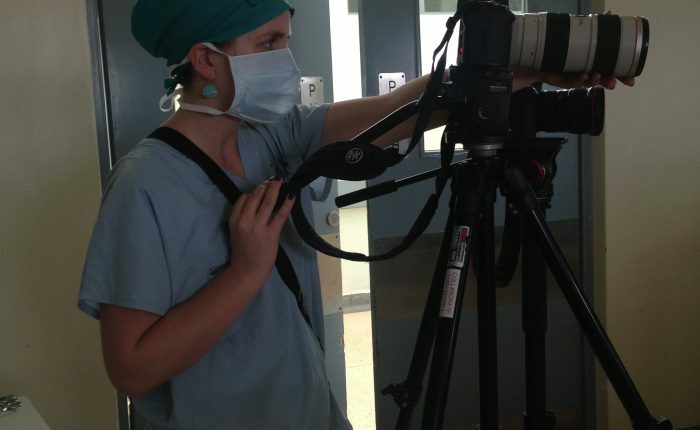 When operating theatre and movie theatre combine, good things happen for global surgery! We’re delighted to announce that The Checklist Effect, the feature-length documentary by Collaborate: ideas & images, which was produced with support from Lifebox and our incredible partners around the world, has been accepted to the Global Health Film Festival. Join us in London for the U.K. premiere of this important film, inspired by Lifebox founder, surgeon and author Atul Gawande’s The Checklist Manifesto. The Global Health Film initiative is a partnership between the Royal Society of Medicine, the Bill & Melinda Gates Foundation, and the London School of Hygiene & Tropical Medicine. And this year, their annual Global Health Film Festival is screening at the Barbican, Europe’s largest arts venue. The primary objective of the Global Health Film initiative is to use film as a catalyst for discussion and for change – and we couldn’t be more excited to join the line up of powerful, urgent, intelligent, inspiring films they’re screening with intent. Because we think The Checklist Effect is all those things, with intent to entertain, yes, but so more besides. Safer surgery is a global concern, and #globalsurgery is more than a hashtag: it’s a political movement. And education, activism, passion and resources have never been as urgently needed than they are now, to hold 2015’s World Health Assembly resolution to account. We’re screening on Saturday at 3:45pm, but there’s a full two days of programming – films, interactive sessions and an exhibition where Lifebox will have a stand to talk more about the life-saving programmes our partners were rolling long before and long after the cameras went home. With catering and a drinks reception included in the ticket price, it’s a bargain of an inspirational opportunity – and we hope to see you there. Get your tickets online now, and click here to make a donation that supports safer surgery today.